Q: What is the difference between the BlackBerry data plan versus generic data plan? A: The BlackBerry data plan gives you access to BlackBerry-branded software such as BlackBerry email, and BlackBerry browser, etc, as well as other enhancements appropriate to business. However, either kinds of plans work fine with third-party applications. Q: What kind of data usage can I use on BlackBerry with just a generic data plan? A: You can use third-party software such as Opera Mini, IM+, GMAIL Mobile, Google Maps Mobile, BBWeather, etc. A lot of these applications are free. You just can’t use BlackBerry-RIM-branded applications, but almost everything else you download off the Net into your BlackBerry works. Everything else you would normally use, such as phone, voicemail, PIM, SMS, etc, work perfectly on a BlackBerry. Q: Why use a non-BlackBerry data plan on a BlackBerry? $45 for 7 MB of BlackBerry data. As you can see, you can get a generic data plan for BlackBerry for less than one quarter the price at this Canadian carrier! Q: Why is there such a large price difference? A: Rogers originally priced BlackBerry for businesses. New BlackBerry models with cameras, memory card, MP3, and GPS, have made BlackBerry a lot more attractive to consumers. Unfortunately, Rogers has not yet released consumer-priced BlackBerry plans. Fortunately, Rogers released consumer-priced NON-BlackBerry plans and they DO work on a BlackBerry. Q: How do I install third party software? These are the easiest applications to install on a BlackBerry without a BlackBerry plan. Q: Some software can only be installed wirelessly. How do I install these? 3. Convert .jad/.jar (regular cellphone download) to .cod/.alx (blackberry desktop install) using a conversion utility. Q: How do I use javaloader to install GMAIL? - Download the original .cod files from google's site. - Copy and paste the text into an .alx file to point to these .cod files. Q: I thought BlackBerry can only be used with BlackBerry plans? A: While formerly true, this is now a myth. Since BlackBerry OS version 4.0, BlackBerries work great with third-party data applications. Q: I thought all data went through BlackBerry servers? Is this wrong? A: This isn’t true for most third party applications. Third party applications typically bypass the BlackBerry servers, and that is why they work on a BlackBerry. Q: I don’t need email, I thought BlackBerry was only good for email? A: The modern BlackBerry does not need to be used for email. You can do texting, cameraphone, GPS, third party data applications, etc. All of those work without a BlackBerry plan. Q: How do I configure my BlackBerry? A: You will have to change its APN, just like you do for any cellphone. Change to "internet.com" and Save. Q: I already got the $5 data plan! Can I use my SIM card from my regular phone? A: Yes. Just move the SIM card to your BlackBerry. Q: Can I use my SIM card from my TREO or other data device? A: Yes, any Rogers SIM card with any data plan can be used on a BlackBerry. It will just count as the same kind of data. Q: Can I use any BlackBerry? A: Yes, any recent Rogers branded BlackBerry can be used. You can use 71XX series, 8XXX series, Pearl, Curve, right away. Q: Do I need to modify my BlackBerry? A: Other than configuring the APN setting, there is no other modifications needed, unless it’s a very old model. An old model such as 72XX may work if you upgrade its software to the latest BlackBerry OS firmware of at least Version 4.0 which has the configurable APN. Q: Can I use my unlocked BlackBerry? A: Yes, unlocked BlackBerry works, from any foreign carrier. Q: Can I get email without a BlackBerry plan? A: You won’t get BlackBerry-branded push email and the BlackBerry-branded web browser won’t work, so you will need to install third party software. One email application that works on the BlackBerry without a BlackBerry plan, is GMAIL Mobile. Unfortunately it won’t alert you (no vibration alert upon receiving email), but it’s fine for casual email checking, ala iPhone/etc. Q: How is texting on a BlackBerry? A: The QWERTY keyboards can make it very convenient. You can also use a texting plan, as BlackBerry allows you to easily write huge text messages (messages up to around 1000 characters) which automatically gets split up to 6 text messages. These are actually automatically combined into one message by some other phones that automatically recombine segmented text messages (such as other BlackBerries). Q: I heard you get charged extra if you bypass the BlackBerry servers. A: At this time of writing, rogers now consider it all the same data on the phone bill. Both Blackberry data and non-BlackBerry data count equally. (just that you get the extras such as BlackBerry email with a BlackBerry plan). People who use Rogers Navigate plans on a BlackBerry just get billed for data just like they would use any cellphone. People who use BlackBerry plans on a BlackBerry and use non-BlackBerry applications. Q: What are the data overage costs? A: The data overage costs are 3 cents per kilobyte (as of the time of this writing) for a non-BlackBerry plan. While high, you can use a BlackBerry cautiously enough by doing things such as turning off images during web browsing. While the BlackBerry does not have a data counter, many applications such as Opera Mini and Google Maps Mobile, have a built-in data counter which you can read the total download, and make sure you don’t use too much. Q: How good is BlackBerry as an organizer? A: This is one of the advantages of switching to BlackBerry too, as well, as its organizer capabilities work fine without a BlackBerry plan. Organizer facilities are getting much better, and can synchronize its Addressbook and Calendar to Microsoft outlook your desktop computer. Macintosh synchronization software is also now available. BlackBerry Desktop can also convert data from Palm Desktop too, as well. There is also new third party PIM software that is becoming PalmPilot-quality. Q: What do I benefit if I later upgrade to a real BlackBerry plan? 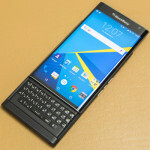 A: Mainly, you get BlackBerry email, but other subtle benefits include the ability to use other BlackBerry applications such as BlackBerry Browser, wireless software install capability, ability to attach cameraphone pictures to email or MMS, ability to tether BlackBerry to a laptop (USB and Bluetooth), etc. If one of these capabilities is extremely important to you, you’ll just have to pay the full BlackBerry fee which is kind of extreme in Canada. A: Yes it is. You’re just choosing to use a BlackBerry as your regular consumer cellphone, with the same kind of data plan available to any cellphone. There are no locks on a BlackBerry preventing you to do so. Q: Who made this FAQ? A: Mark Rejhon (marky.com homepage) originally wrote this FAQ. Please keep this original credit intact, and do not delete this if you modify this FAQ. Thanks.